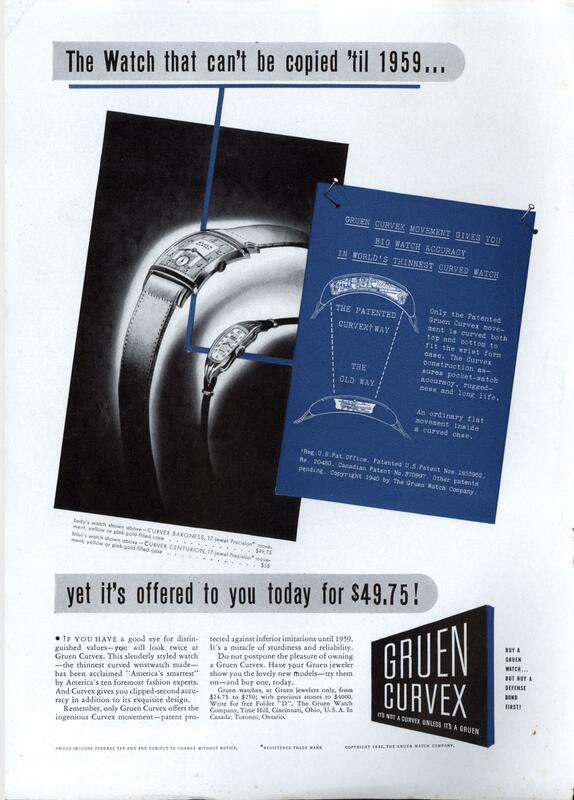 Remember, only Gruen Curvex offers the ingenious Curvex movement—patent protected against inferior imitations until 1959. It’s a miracle of sturdiness and reliability. Do not postpone the pleasure of owning a Gruen Curvex. Have your Gruen jeweler show you the lovely new models—try them on—and buy one, today. Only the Patented Gruen Curvex movement is curved both top and bottom to fit the wrist form case. The Curvex construction assures pocket-watch accuracy, ruggedness and long life. An ordinary flat movement inside a curved case. Gruen watches, at Gruen jewelers only, from $24.75 to $250; with precious stones to $4000. Write for free Folder “D”. The Gruen Watch Company, Time Hill, Cincinnati, Ohio, U. S. A. In Canada: Toronto, Ontario. BUY GRUEN WAICH…BUT BUY A DEFENSE BOND FIRST! Reg. U.S. Pat. Office. Patented U.S. Patent Nos. 1855952, Re. 20480. Canadian Patent-No. 370997. Other patents pending. 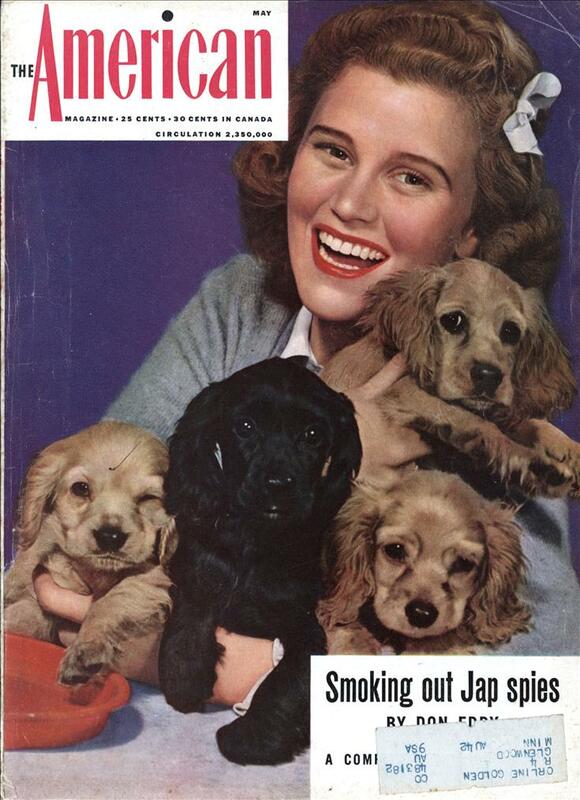 Copyright 1940 by The Gruen Watch Company. Inflation adjusted, this is a $700 watch.